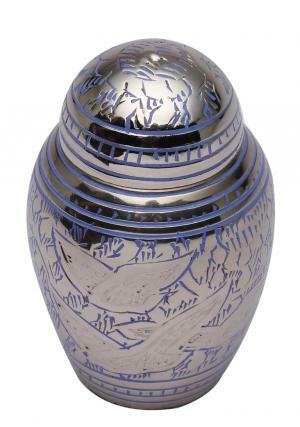 Flying doves adorns the dome top going home blue keepsake urn for ashes and engraved in swirls in blue cover with birds centered the art. 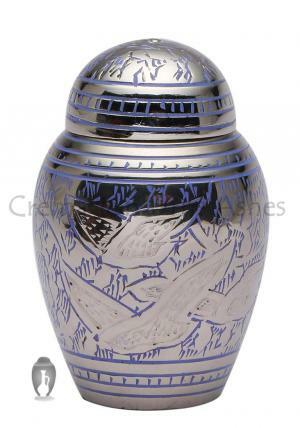 Doves blue keepsake memorial urn is mounted with a dome on the top with the blue engravings on the nickel coated brass urn. 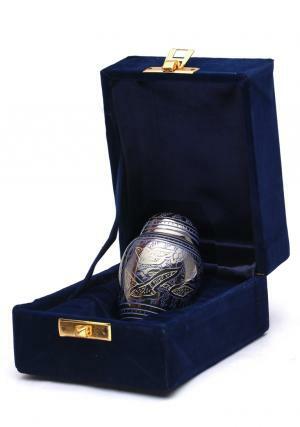 The mini keepsake urn is made of solid brass with a traditional cylindrical urn shape that has a blue swirls on dome top. 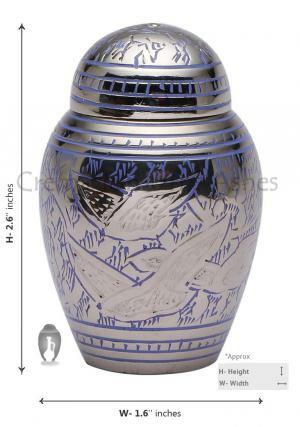 Funeral keepsake urn for human ashes is a beautiful urn to honor the loved one ashes to symbolize the peace of going home doves to heaven for the very last time. 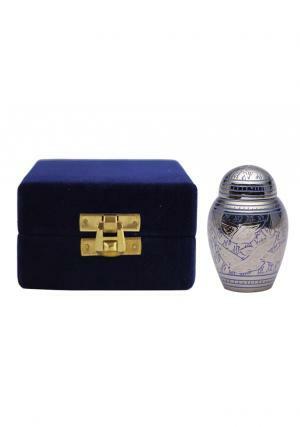 Mini keepsake cremation urn is a part of memory after the demise of the loved one. The intrinsic desire of the skilled professionals is to present a beautiful keepsake urn to preserve the ashes. The top of the mini urn is secured with a threaded lid for an easy closure and open. Small keepsake memorial urn measures 2.6 inches tall which weighs approximately 0.12 KG and carries 3 cubic inch of ashes in the mini urn. 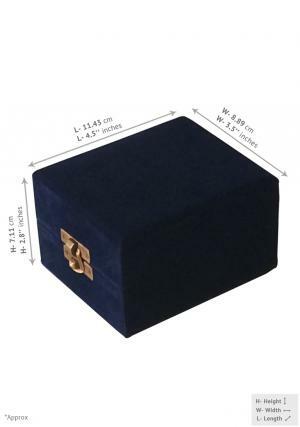 Keepsake brass urn is presented in a beautiful velvet box to carry it and delivered for free within UK.